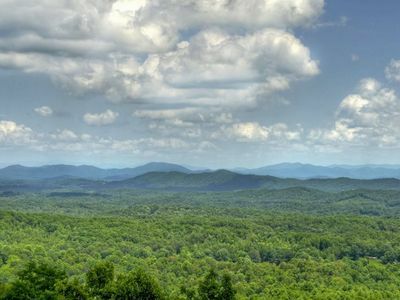 Come experience fresh mountain air and feast your eyes on million dollar views at A Bit of Heaven. 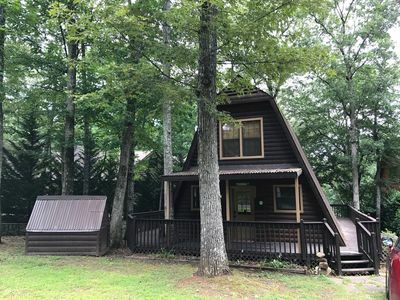 The absolute best place to find yourself in the North Georgia Mountains is in a beautiful and well appointed cabin with a cup of coffee in your hand and an Adirondack chair under your bottom. 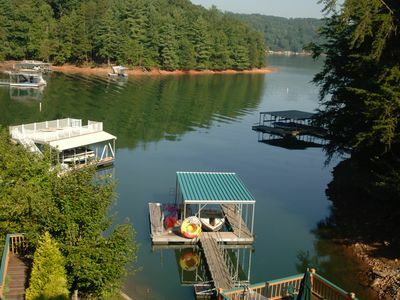 Vacation time is everyone's favorite time right? 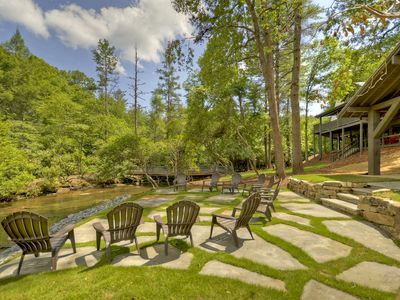 So why not spend it here - a place where having a good time has never been more effortless. 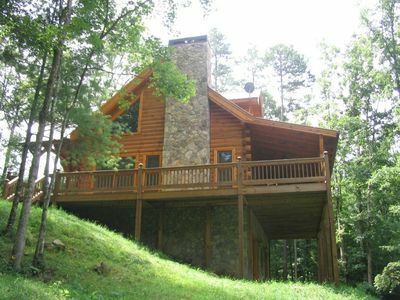 The fully equipped kitchen in the cabin beckons you to come and prepare your favorite dishes for yourself and the family. 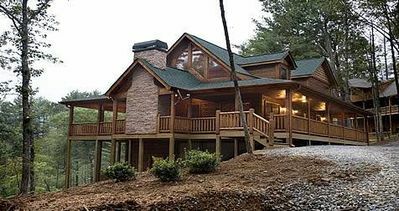 Enjoy your meals at the dining room table which has seating for 8, but don't forget to start an ambient fire in the gas fireplace first. 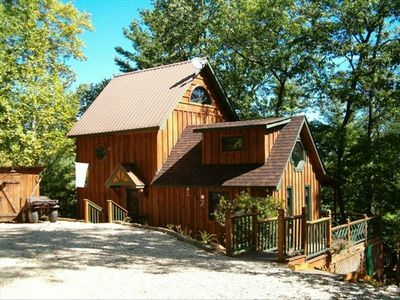 This home is adorned with Flat panel TVs in the living room and loft as well as a few of the bedrooms. 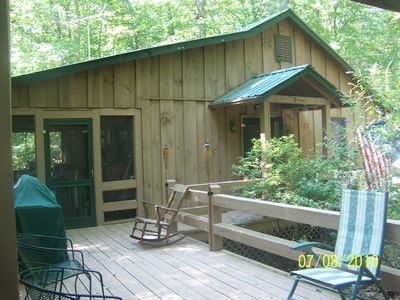 When you're ready to spend some time outside, a screened in porch with a gas fireplace awaits! 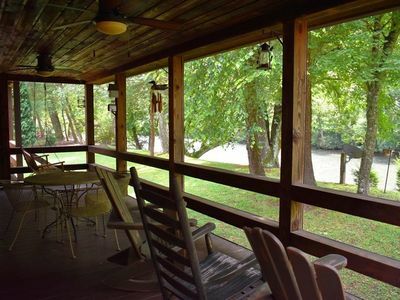 Cuddle up in the cooler months with your honey while you relax in the rocking chairs surrounded by nature. 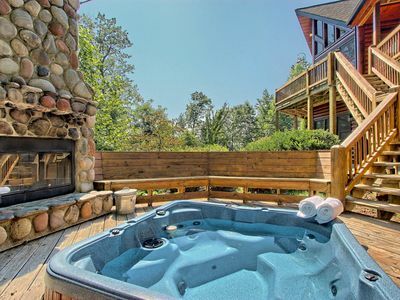 If you've had a rough day of vacationing, perhaps the hot tub may be more your speed - just soak all the worries away while you look off into the great beyond that is the Blue Ridge Mountain range. So come on...bring yourself, the vacation part is easy. 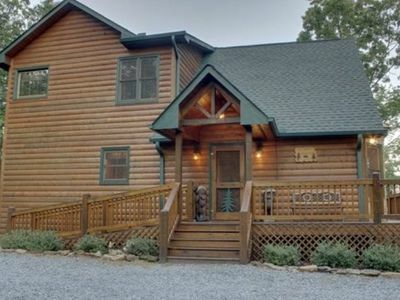 Luxury Log Home with Outdoor Woodburning fireplace and much more. 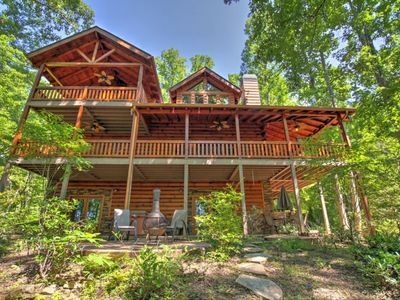 Laid back, fun getaway cabin! Read the guest reviews! 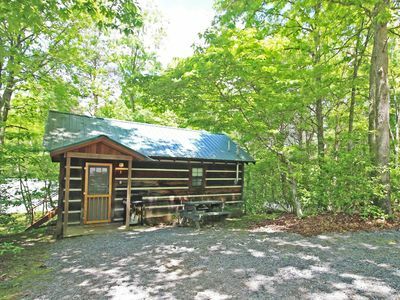 Cozy cabin nestled in woods and close to Downtown Blue Ridge! 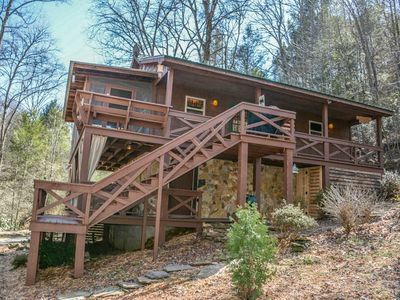 Gorgeous mountain cabin near downtown Blue Ridge w/ hot tub, fireplace, & more!